Summer Lovin' is back! And we're going "back to the streets" of Lincoln to share God's love with those people he has placed in our spheres of influence. Here are three simple ways for you to do this with the people in your neighborhood, workplace, etc. Choose one or do all three. Let's be #4Lincoln! Have a cook-out, pot luck, chili feed or other fare. Set up lawn chairs, yard games to create an environment where fellowship and fun will happen. 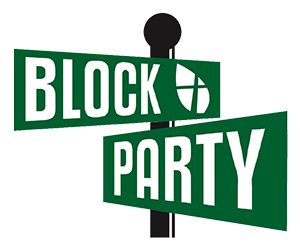 Click here to register for a free Block Party Kit. Provide some light snacks and an area for BYOC (bring your own chair) then come together to enjoy laughter and fun together. 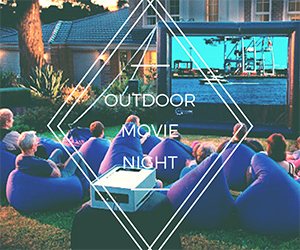 Click here to register for a free Outdoor Move Night Kit. Have a hangout night with 4 people from church plus invite 4 people you know who are far from God. Join together for a night of fun and relationship-building. - Have an outdoor BBQ & play yard games. - Play board games & eat pizza. - Have a movie night with snacks. - Host a murder mystery dinner. - Have a food-themed cook-off. - Go out for dinner & bowling. Remember to post pictures online with the hashtag #4Lincoln and share your stories on the #4Lincoln map in church foyer.